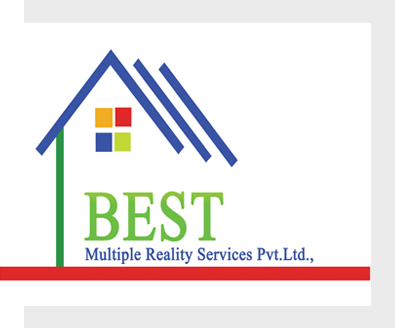 BMRS - Best Multiple Realty Services Pvt. Ltd.
BMRS is a progressive and quality-conscious infrastructure enterprise with an emerging presence in the real estate vertical. BMRS is focused on envisioning and crafting distinctive projects in the residential as well as commercial spaces. The company has firmly positioned itself as an integrated real estate player offering full spectrum services from land identification and acquisition to project planning, designing, execution and marketing.True to its name, (BMRS means ‘Best Multiple Reality Services’) BMRS is committed to crafting superlative projects that set the quality standards in real estate. BMRS is passionate about infusing dynamism into the real estate sector and redefining the game with its penchant for innovation. As a professionally-managed and values-driven Organisation, it destine to build trust and credibility in the market by ensuring transparency in every dimension of its operations. BMRS is committed in creating thematic residential and commercial landmarks that ensure optimal value and delight for every inch of construction.The company endeavors to address a wide market with its benchmark offerings that span different price points across affordable and luxury projects. BMRS is set for prolific growth ahead and has drawn up plans to expand its footprint across the country.The company is targeting a pan-India presence by ensuring comprehensive real estate offerings ranging from apartments, gated communities and plots to corporate offices and other commercial establishments. As an ambitious enterprise with a bold vision for the future, BMRS is aggressively chasing growth and is striving to consolidate its presence in the real estate sector before foraying into different verticals of the real estate industry.The company is also working towards establishing a dominant presence in Healthcare, Hospitality and Education. BMRS is a socially responsible corporate citizen. The company strive to give back to society by setting aside a portion of its profits for philanthropic endeavors. BMR Salso undertakes activities to build awareness on environment conservation and promote a cleaner, greener and healthier world. Offers BEST multiple choices to Customers in real estate field. BMRS is a regional, full-fledged service provider in real estate. Our objective is to satisfy the customer at very reasonable costs. We believe in teamwork, innovation, professionalism, and long-term relationship. We endeavor to preserve and enhance our integrity through all our actions. BMRS is committed to provide the finest service in real estate web marketing. BMRS offers commercial and residential real estate services to individuals and business concerns. The services cover consultancy, leasing, marketing of all kinds of properties , property management, maintenance, development. 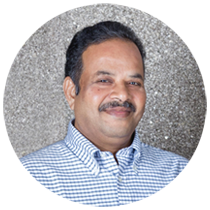 Our team comprises of people with the BEST experience. This makes sure that we serve you the BEST. We can proudly say that all the projects we handle are in the BEST locations and sold to only the BEST.